Claudia Avitia is a program associate for the Science program at the Heising-Simons Foundation. 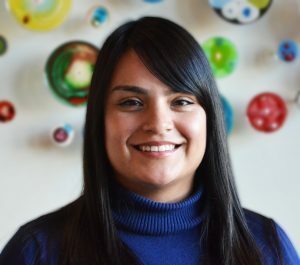 Prior to joining the Foundation in 2017, Claudia provided technical and project coordination support at Esri, an international supplier of geographic information system (GIS) software, web GIS and geodatabase management applications. She also previously worked in human resources and finance. Claudia received her bachelor’s degree in international business from Pepperdine University.